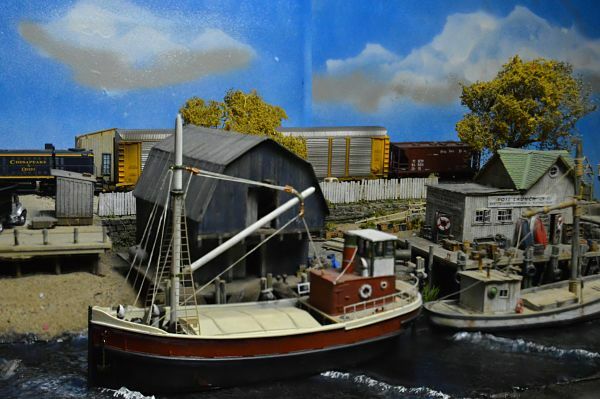 Frenchman River Model Works #1305 O (1/48) Scale Lobsters "Jack's Fish"
Hello, I added your lobsters to my model and some photos are attached. 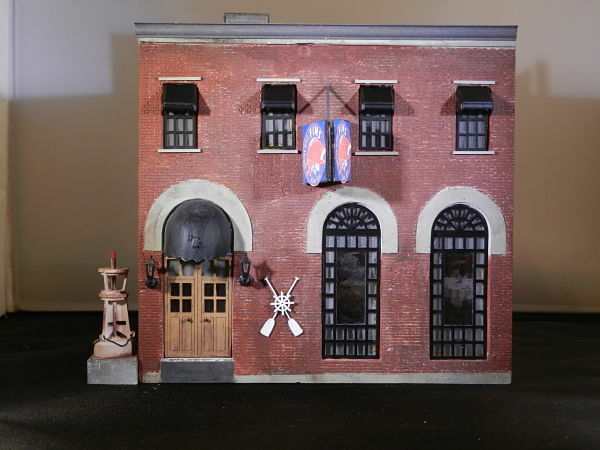 I’m a repeat customer (one of my builds with your awnings in is in your photo gallery) and I really appreciate your great products. 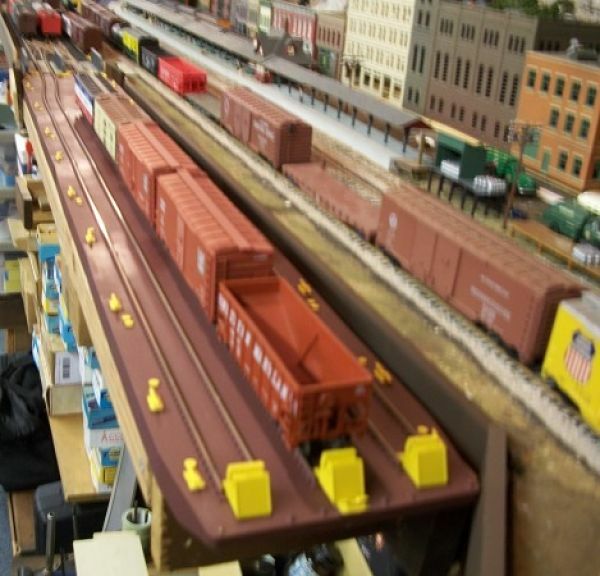 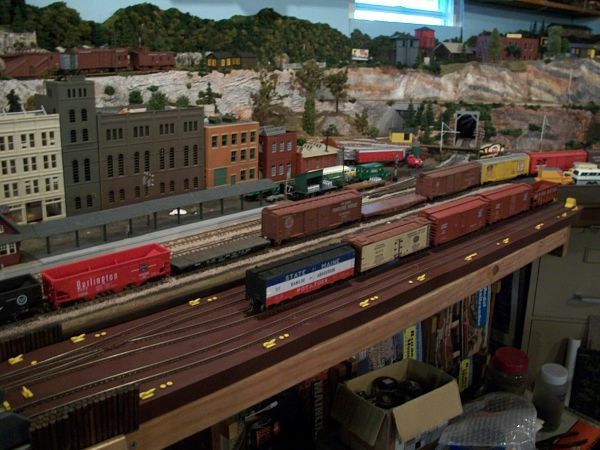 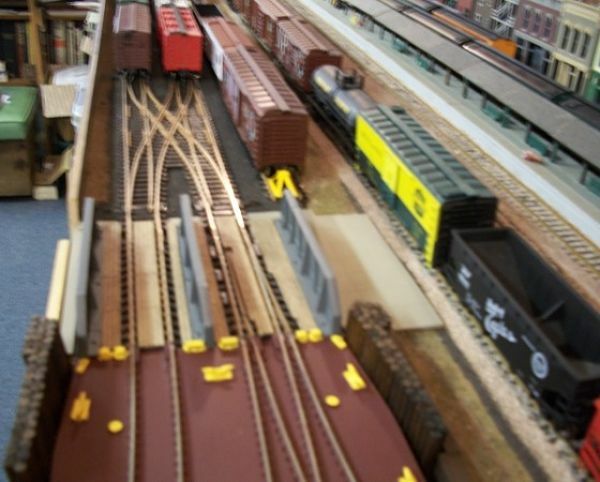 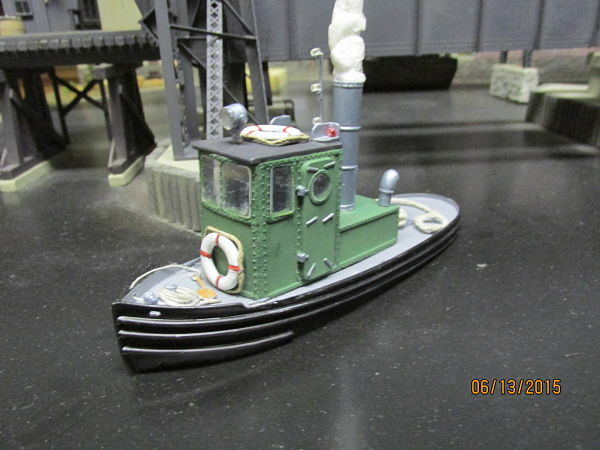 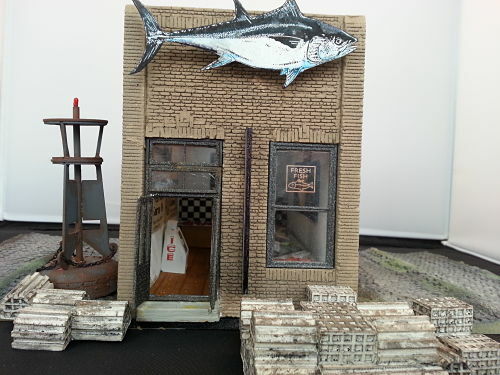 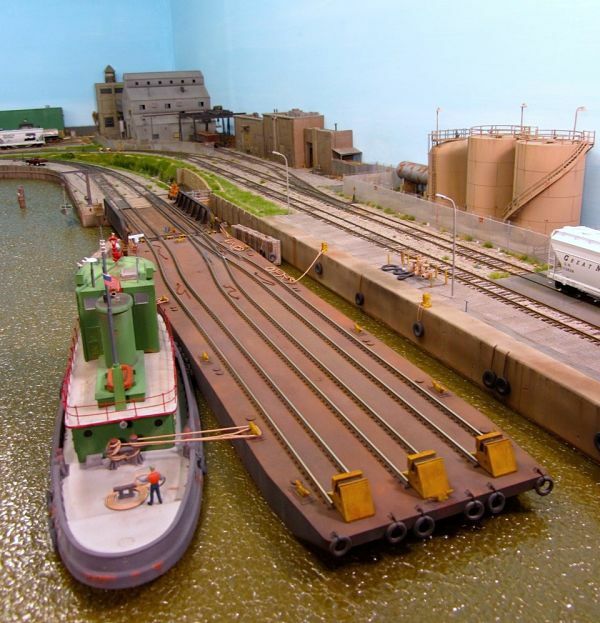 "This is the rr barge kits I bought some time back. 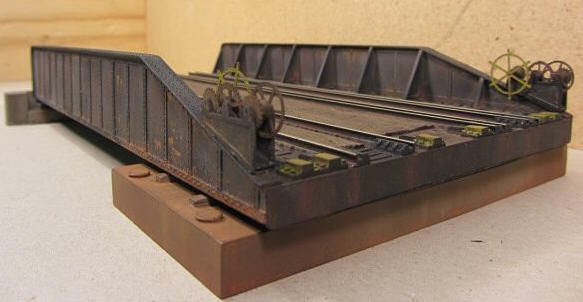 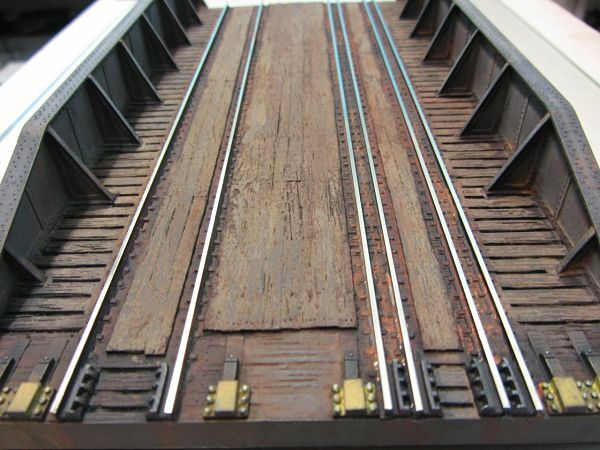 It measures 41" or 297 scale feet in length, I scratch built the float bridge, not seen in the photo is the double cross switches just before the float bridge. 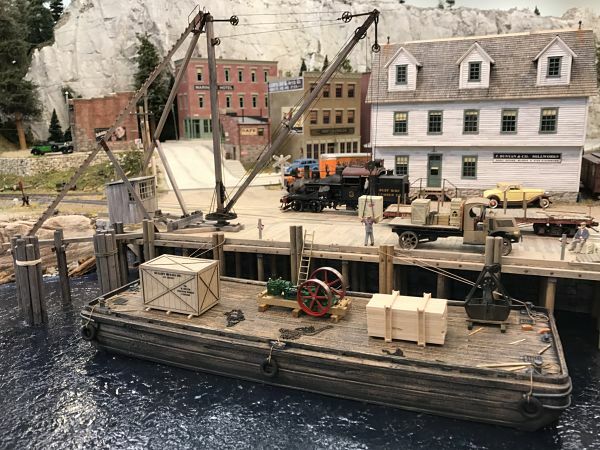 It a lot of fun to load and unload the barge"
"Greetings; I thought you might like to see one of your products completed. 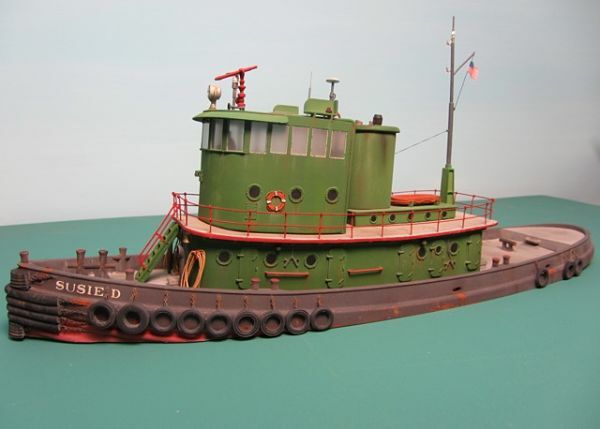 It is a beautiful model. 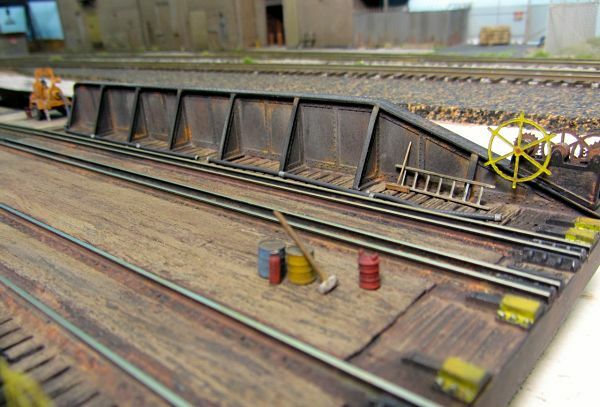 I followed your painting instructions which worked out great. 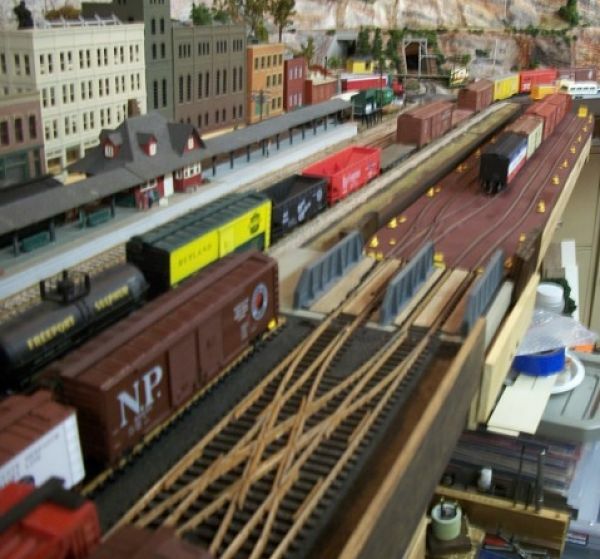 The layout scale is Sn3. 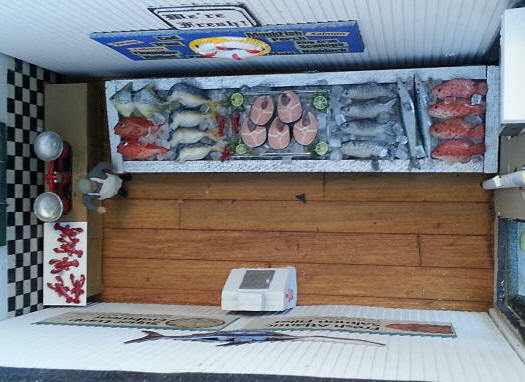 You have a great product."